AL4000-6 (6-point): compact digital recording of temperatures, 100mm (4 inch) chart recorder with a 0-2200°F scale. 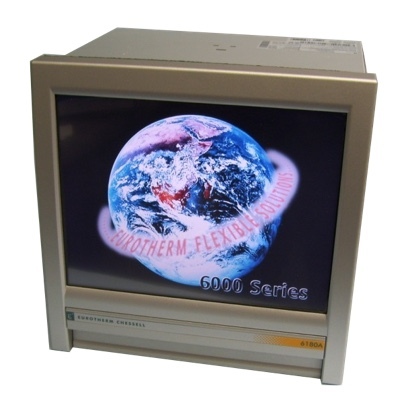 It features digital and color printing, digital display showing the temperature readings of all 6 T/C’s at one time, programmable range, scale, and chart speed. Able to accept multiple thermocouple types. AH4000-6 (6-point) Same as above only 180mm (7 inch) chart recorder . AH4000-12 (12-point) Same as above only 180mm (7 inch) chart recorder. AH4000-24 (24-point) Same as above only 180mm (7 inch) chart recorder. Chessell Recorders: Model 6180 DAC, 12.1" touch screen available in 12, 24 & 48 point with full graphic display, capable of working along with your PC for monitoring, downloading, and producing separate charts for each input. Capable of accepting multiple temperature inputs. 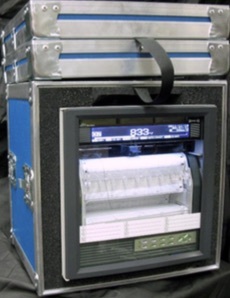 Comes with pre-mounted Type "K" thermocouple jacks & a 6 ft. power cord plus carrying case. Also a 5.5" screen is also available with 6 & 12 points, also with pre-wired Jack panels and case.